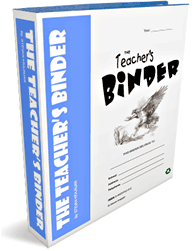 Teacher’s Binder is a uniquely complete collection of often-used, printable, interactive classroom forms that help teachers simplify work, personal organization, record keeping and classroom management. See numerous teacher comments about this practical classroom resource, and don’t forget to check out the samples below. There are 2 versions of books to choose from – printable and interactive (also printable). Try the interactive samples! 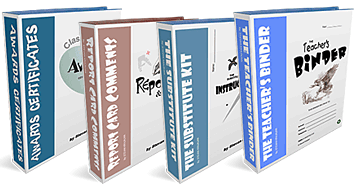 256 page, world’s largest collection of often-used, printable forms, tools, templates. Interactive version that lets you type into forms, print, and save!